I created this page for you, a place for you to find class information, photos from dance performances, class choreographies and video of our dance routines. If you ever have any questions please send me an email or give me a call, 480/962-6303. What do I wear for class? - wear something comfortable that you can move in. Yoga pants, shorts, skirts, t-shirts, tank tops, etc. Bare feet, socks, dance shoes are great, please no tennis shoes. Where are classes held? - All classes are held at the Mesa Arts Center located on the south east corner of Center and Main Street in down town Mesa. The address is 1 East Main Street, Mesa, AZ 85201. Classes are held on the second floor in either the Acting Studio or in the Dance Studio in the South Studios Building. The South Studios Building is facing Center Street and is in the back of the complex. If you park in the back parking lot it is the building were the glass blowing classes are held the first building you come to facing Center Street. 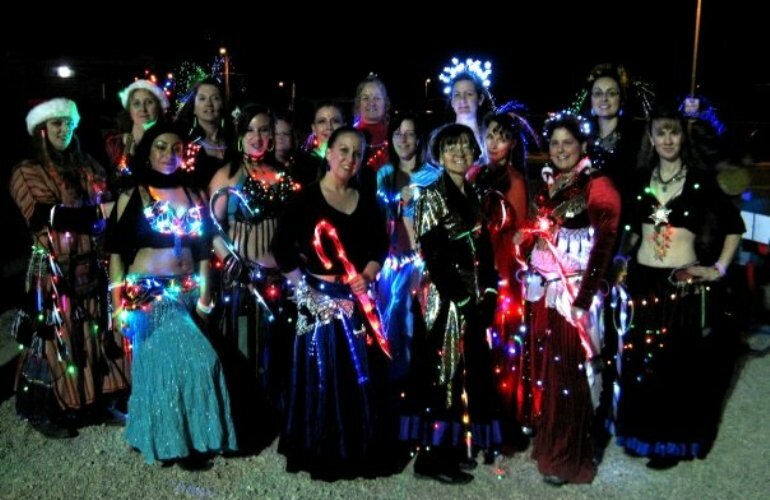 Is Belly Dancing for Everyone? - Yes, yes, yes!!! 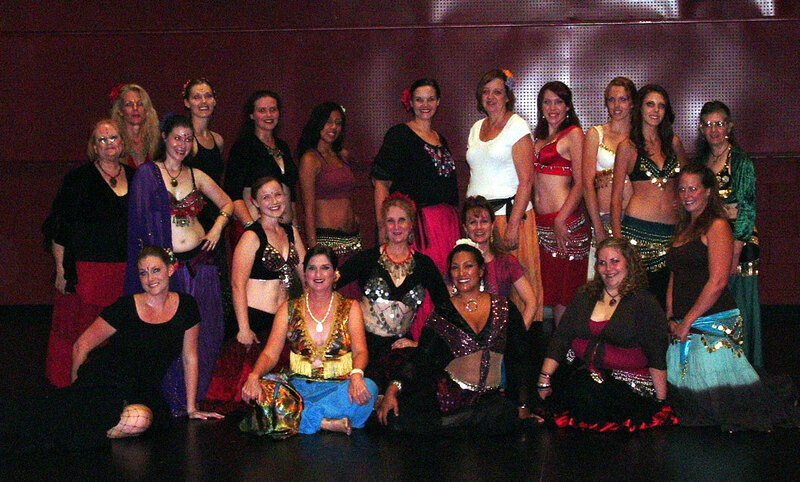 Belly dancing is for all ages, body types, sizes, gender, etc. Belly dancing is a great form of exercise based on natural body movement and works the entire body. Every one learns at a different pace and you may not pick up some moves as fast as others. The main thing is to have fun!!! Don't give up you will get it. 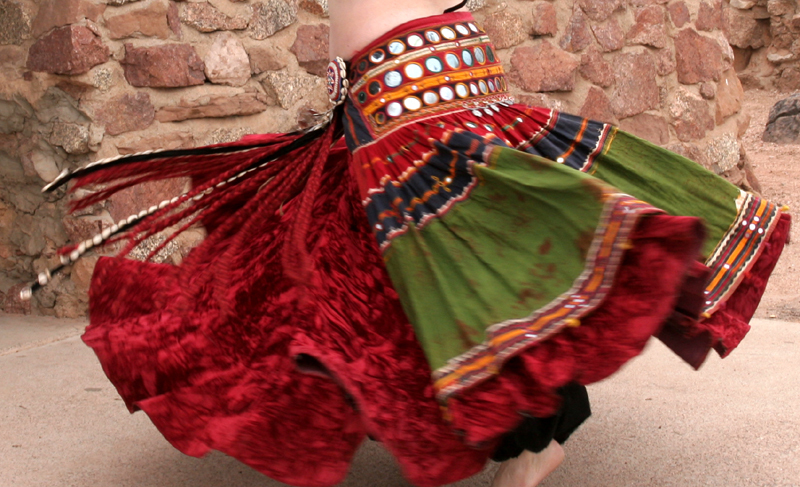 What is the difference between belly dancing and tribal? - The two styles are very different yet based on the same moves. Belly dancing has a variety of styles such as American cabaret, Egyptian or Raks Sharqi, folkloric, ethnic to name a few. American cabaret style is a glitzier more flamboyant form of belly dancing and we have taken the Egyptian style of the dance and made it our own. We incorporate the use of a veil and other props in our dance routine. American cabaret dancers do not dance any pure form of the dance, but add other influences such as jazz, ballet, modern, etc. to the dance. 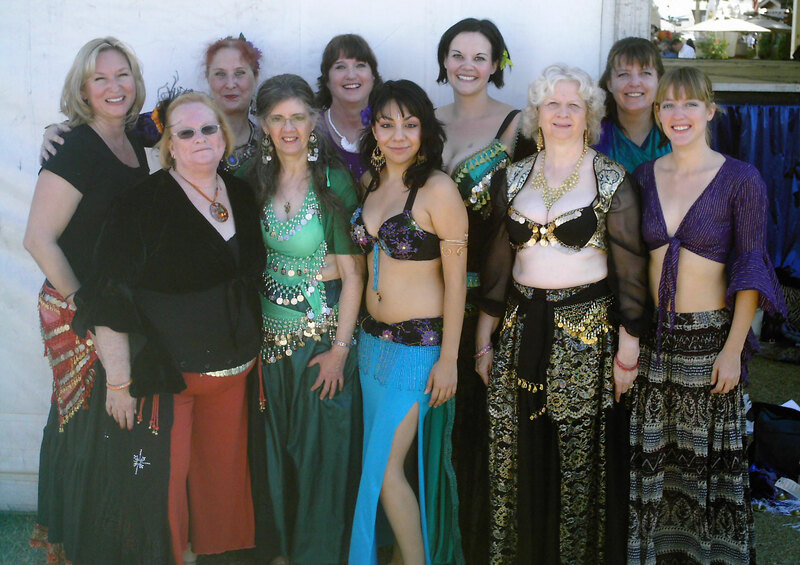 For more information on the other styles of belly dance check out the Belly Dance Style page. Tribal also has a variety of styles, American Tribal Style (ATS), tribal fusion, goth, tribaret, etc. 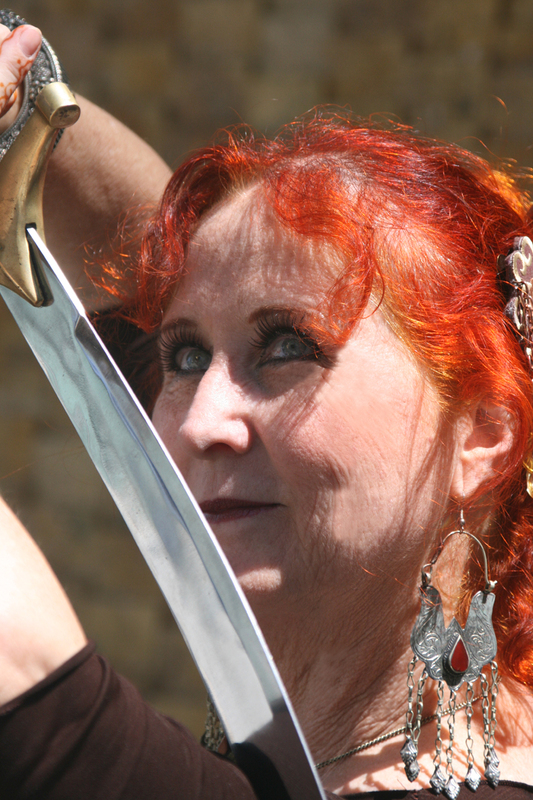 American Tribal Style� or ATS� was created in the US by FatChanceBellyDance� (FCBD�) in San Francisco in the 1980's. Carolena Nericcio the founder of FCBD� created this improvisational style of dance where there is a leader and follower(s). Each move has a cue which the leader will execute letting the follower(s) know what the next move or combination will be. The leader changes throughout the dance which gives everyone a chance to shine. Tribal dance styles fuse other forms of dance styles into the dance such as Flamenco, East Indian, African to name a few. Not only in the moves but also in the costuming. 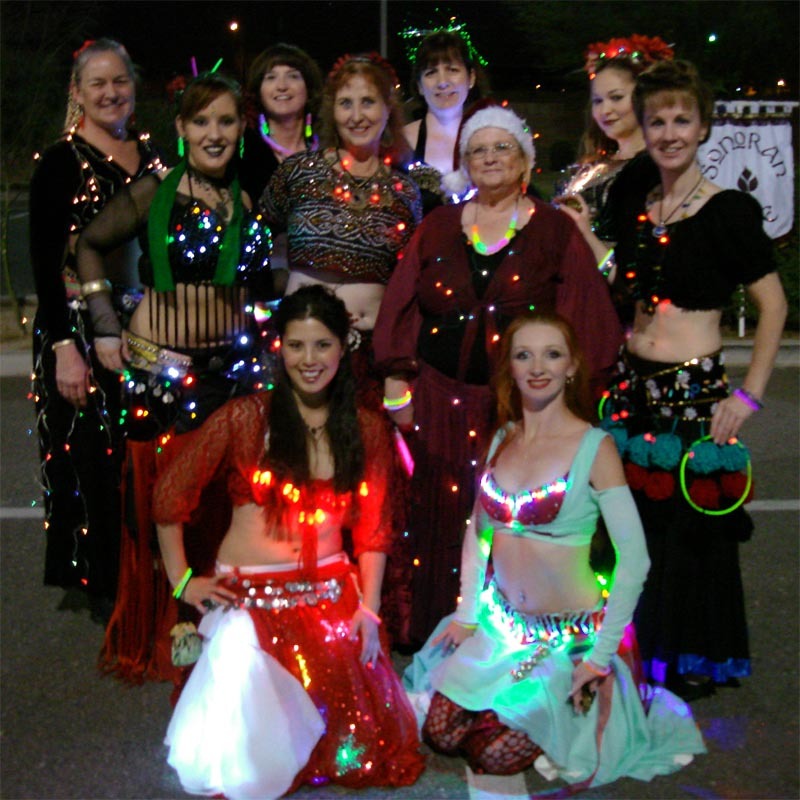 Check out these sites for more information on Tribal belly dancing, FCBD� and tribal style definitions. For more photos of performances and short videos check out my student blog, Facebook and YouTube.